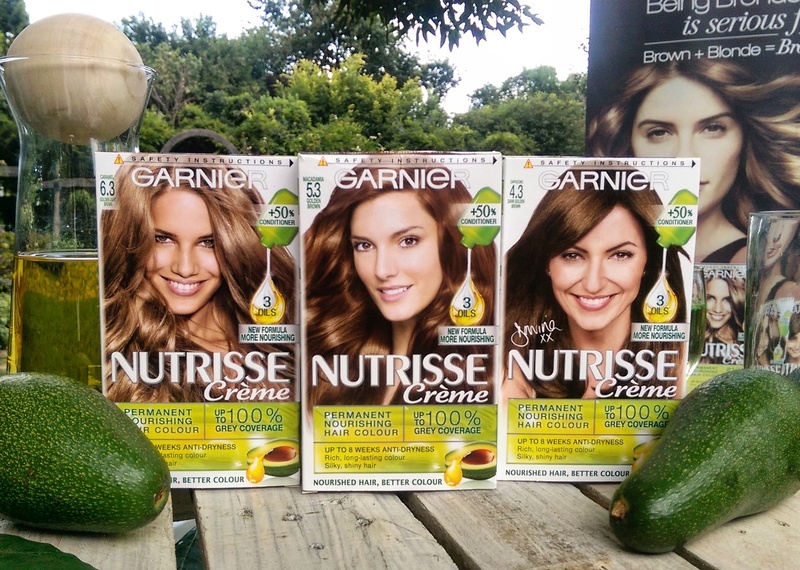 Who wants to win a R1 500 shopping voucher plus Garnier Nutrisse’s new Bronde collection? They say blondes have more fun but now there’s a new happy hue taking over town and that’s bronde. Yep, you heard me – ‘bronde’. A beautiful blend of brown and blonde. Garnier’s gotten in on the trend with a new shade in their Nutrisse Creme collection called 6.3 Golden Light Brown. It’s the penultimate shade of bronde as it really is the perfect merger of coffee meets cream. 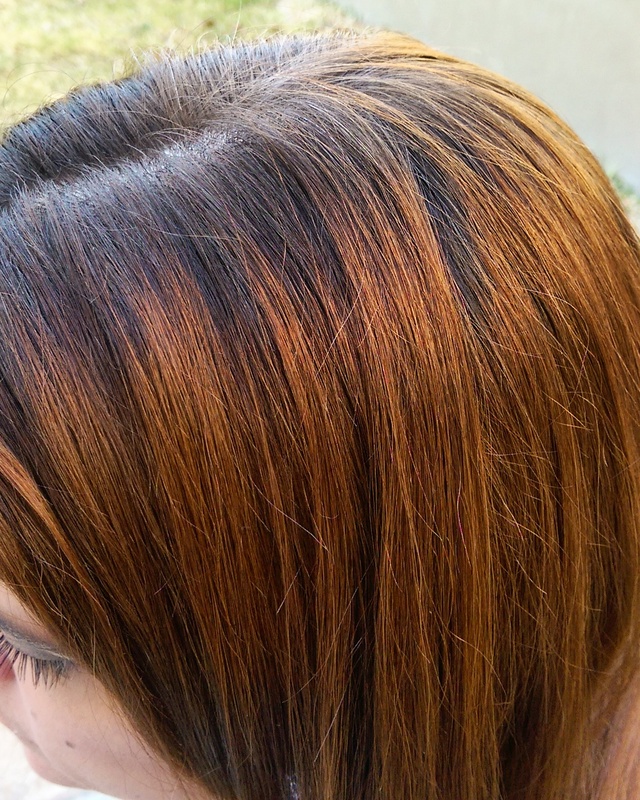 Still, if you’re a brunette who wants in on the action but doesn’t want to stray too far away from your natural colour you can take a look at Golden Light Brown’s sister shades – 5.3 Golden Brown and 4.3 Dark Golden Brown. Like all the hues in Garnier Nutrisse’s collection, they promise a luminous-looking, multi-tonal result and are enriched with fruit oils to care as they colour. From left to right you’re looking at 6.3 Golden Light Brown, 5.3 Golden Brown and 4.3 Dark Golden Brown. Being a brunette, the bronde collection really appealed to my flatmate, Gay, but she was a seriously nervy customer. The last time she dyed her hair at home we picked a shade that was a bit too light and her hair turned a dashing shade of khaki. Cue snot, trane, trembling and my cunning plan B – buying a beanie in every colour and wearing them for a month. Ever the diva, Gay was not keen on plan B so we had to develop plan C which involved a semi-mental breakdown in a 24 hour pharmacy where we found a darker shade to cover things up. The ensuing colour wasn’t great. In fact, it was a bit, dare I say it, rooi. But it was OK. It wasn’t kill-yourself-khaki so that was a plus. Six weeks later the red has kind of faded. But only a bit. So, flash forward and we’ve got 1 x flatmate who’s a bit nervy of box dye. Still, I asked her very nicely (okay, okay, I was all ‘Do this now or I’ll lock you out of the Wi-Fi’) and she agreed, settling on 5.3 Golden Brown as it was the closest to her natural hair colour but still promised subtle golden tones. Still, it had its work cut out for it. We needed to cover a bit of grey, blend in the roots and deliver even-looking colour that wasn’t a monotonal world o’ ‘flat’. Was this going to look good?! Bye bye rooi gevaar! Hello rich, glossy light golden brown! In fact, bronde was totally banging! WordPress tends to wash colours out a bit so click on this piccie to enlarge and it see Gay’s true colour result. So, do brondes have serious fun? Gay thinks so. She’s now living up to her name with a compliment-garnering hair colour that she likes so much she’ll be using it regularly. She’ll also have you know her wardrobe is officially 100% beanie-free. If you’re thinking of going bronde yourself, know that Garnier Nutrisse has three mooi shades to help you pull it off. Now, if you think you’d like to become a #brondegirl too, let’s get to the part I know you’re excited about! I have two Bronde girl hampers to give away and each includes the entire bronde collection plus a R1 500 shopping voucher from a mall of your choice. Entering is easy and there are three ways to do it. You only need to pick one way to enter but if you do all three you’ll triple your odds of winning. 1. Simply leave a comment below telling me why you’d like to go bronde. 2. Hit me up on twitter with ‘Hey @lipglossgirl, I’d love to win a spoilicious @GarnierSA #brondegirl hamper’ and be sure to include the link to this post. 3. Find my bronde girl post on Instagram (I’m @lipglossgirlxoxo) and tell me why you’d like to try the hot new hue over there too. This competition is open to South African residents only. The competition closes at 5pm on 19 May and I’ll draw the winners from a combined pool via random number generator and announce them on 20 May. P.S. Can we all just agree I’m living with Princess Kate Middleton’s doppelganger? This competition is now closed. Congrats to winners Jess Gouws and Karin van Zyl. Bronde looks like the perfect winter shade, I love that it is low maintenance too! Oh my word, where do I start! My hair is looking seriously awful and brassy and old hag grey hairs are poking out. I am desperate to get to the hairdresser but also not so keen on spending 1200 before payday and I am beyond TERRIFIED of home dye jobs but your room-mates story has me inspired! I have a very similar hair colour and love the fact that it hasn’t turned out flat or orange. – Pick me!!! I like change, but not 180 degree change so this would be perfect for me! 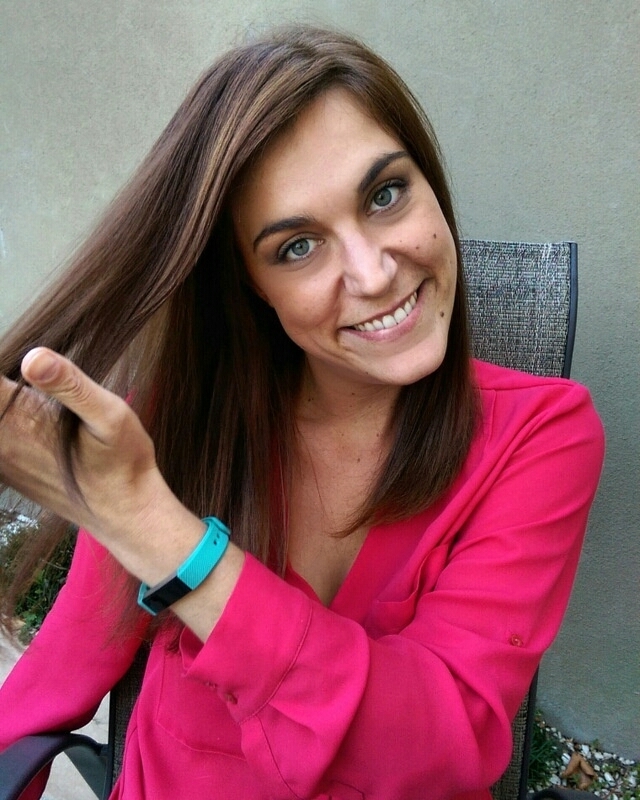 I used to be blond and went brunette, so a little bronde would totally work for me! I want to dye my hair but I’m such a scaredy-cat! I’ve got pitch black hair, which I love on days (hence the second guessing), but I think the darker two shades are inconspicuous enough! I have always wanted to go a little more brond im.tired of always having dark hair. But I to am like your friend Gay im so so nervous as previous times have really messed up my hair. Holding thumbs that im the lucky lady that will actually be able to change my haair to brond…. Change is good i have been a one coloured hair girl like forever…and getting Bronde and Bold is a check on my list. New look .. I would like a change…and my husband would not mind….he will love this hot new heu…he love my hair a bit darker. fingers crossed ! I love the bronde hues as they add a twist to the brown colours. Her hair colour looks like it has depth and shine! Would love to try a different shade of brown. Right I’m due back at work in 2.5 weeks after 4 months maternity leave. And it’s about time I dyed my hair and did something to un-mom myself. Help! Hi @lipglossgirl I’d really love to change my hue. I’ve had black hair all my life. Was always doubtful to change my colour. I look at other ladies and I become envious. I’d love to be a #BrondeGirl because the colour is beautiful, it’s not bright, it’s definitely the perfect colour for a first time hair make over. It is time for a change. I just turned 46 and bottle blond is now a bit dated. I think Bronde is the way to go! Hi Leigh 🙂 You look stunning! I love being bronde .. it one of the sexiest look of showing all you got. It being bold and also beautiful . It gives you that extra look of being extraordinary and also being that lady who walks high in hills with shoulders up. However bronde colour give glow to your have ,as it been said a beauty of a woman is in her hair. A fantastic giveaway thank you and a interesting read which I found captivating and I would love to have a change , a new look is well overdue for me…out with the same old black hair , it’s time I took the plunge and look fabulous by going Bronde. 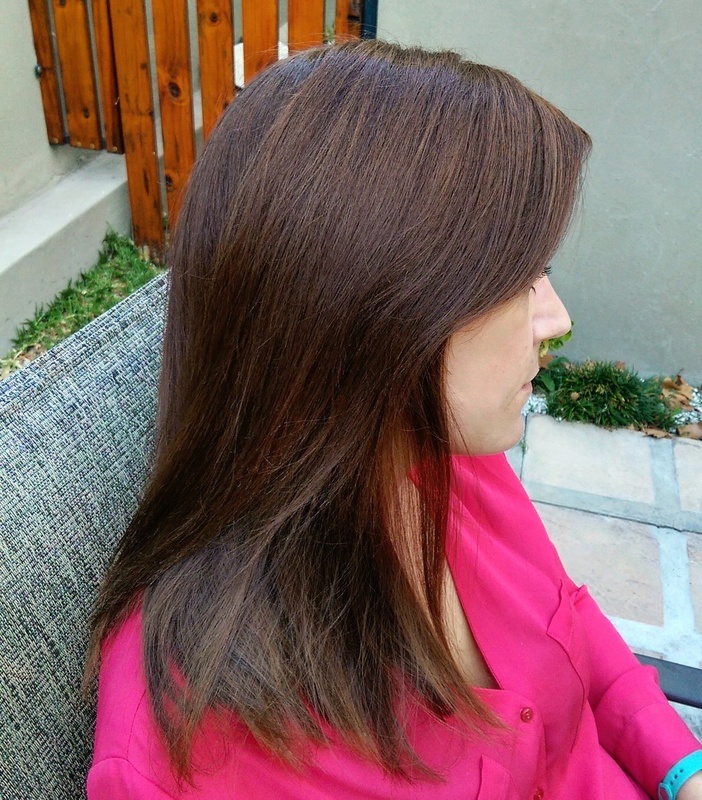 Wow , this is EXACTLY what I have been waiting for – Bronde – I have color my hair at least every 6 weeks – to cover grey hairs – and these new shades would add the golden brown hues for that richness of color. Your friend looks Beautiful. I want to go bronde because I am soooo tired of my boring black hair! Time for a change.. new me! And bronde is the perfect warm and natural shade to suit anyone! So I’m a natural brunette but it’s a new year and a new me ,New career & new job so it’s definitely time for a new look and new hair colour! Bring on the Bronde look! I’d love to go bronde because I’ve never changed my hair color and this looks so pretty, I’d love to give it a go. I love colouring my hair. Its bean all the colours you can think of. I love bronde and im going to buy it end of month. Well I’ve been getting antsy for a hair change (anything was on the table including lopping half of it off or going bright pink) and your Kate Middleton roomie makes bronde looks so good, I’m thinking this may be the way to go. I’ve always leaned to blonde with those blonde highlights in my mousy brown hair, but I feel like its been a year since I’ve done anything new to my hair other than trim. I just feel like I need something new a fresh look its my Birthday coming soon and I would love to try a new look out and be bold and brave and step out of my comfort zone. And going Bronde would be a perfect shade for me to go for so I wish I could be one of the lucky ladies to win. I have the bleakest, lifeless head of hair. I recently just cut it above shoulder length because I needed something vibrant and new. Didnt do it for me. I knew it was a change of colour I had to do. I’d love to go bronde…I always have black hair…so this would be the perfect change for me…it looks like the perfect winter colour,deep rich colour. So ek dink dis die perfekte geleentheid om Bronde te gaan ..ek gebruik net nutrisse ..wanneer ek besluit om ligter te gaan sal ek die pre lightening kit koop en dan sal ek of rooi of die gewone bruin opsit … Maaaaaar dink die bronde gaan ‘n goeie verandering wees en mens sal nie so vinnig die muisvaal bruin en grys demons sien wat uit groei nie hehe.. So happy to hear that! Ja, I must say Gay is thrilled with her result too. Garnier was pretty generous so we’ve got several boxes and she’ll definitely be using all of them. Love the new bronde colours. Perfect for my new winter look. I love Nutrise hair colour! I have to colour my hair every 3 weeks because of The evil greys. I was thinking of using Brond colour. Will be perfect colour! Tnx for the awesome blog! Wow! I love Garnier, but I haven’t coloured my hair in ages. Currently, it’s red from my shoulders down and mousey brown up to my roots. Bronde sounds like the perfect solution!! I would be so grateful to have a chance to try it out. Shopping with my new look could only be fun and much needed. I love Garnier!! I would love to try their new range as I haven’t coloured my hair in ages! Shopping with my new look could only be fun! Thank you for a very entertaining article and thanks for this opportunity. I would love to win the Dark Golden Brown, I think it would be perfect for my Mom. She is slowly getting a bit of grey and she decided to colour her hair for the first time at the end of last year. We bought a very reputable, permanent hair colour and applied it correctly, but her greys were showing through within a couple of weeks. I think this colour would be great on her and I am sure Garnier’s formula will properly cover her greys. Once again a fabulous review Leigh! I am holding thumbs that I will be able to spoil my Mom! Recently wanted to try a new hair colour (new year new me speel) but after going into the Salon and finding out the prices i was SHOCKED! Was too scared to dye myself but after seeing these results I can’t wait to give it a go! My blonde tresses are looking very “tired” – in need of a change. This could be it – in time for winter! 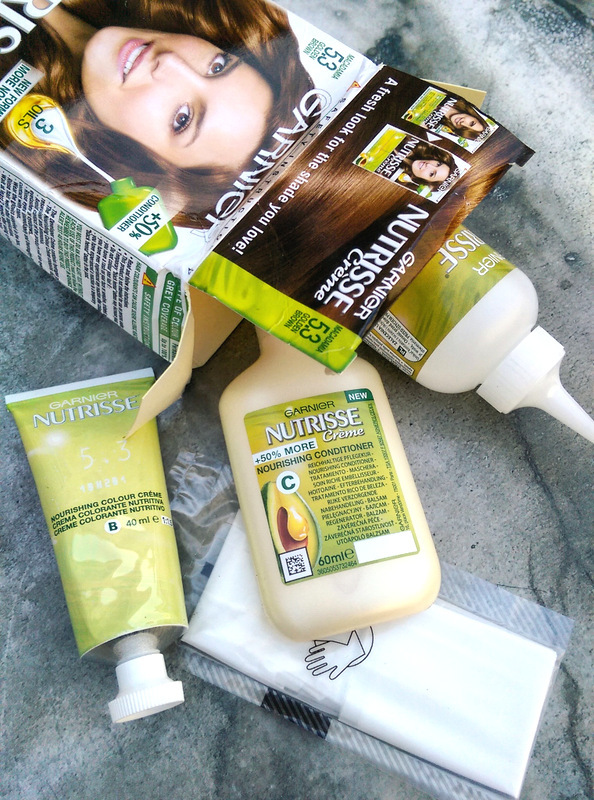 Would love to try these new shades by Garnier Nutrisse. I’m a half bronde at the moment – black hair with brown all over it, but this woman is ready to become fully bronde. I mean, and I love you Leigh, but I think brondes have the most fun – eek! Don’t kill me! Ag pretty please, my blonde frizz bleach could use with a touch of a dial down.